Come onboard and gain your RYA qualifications with us. 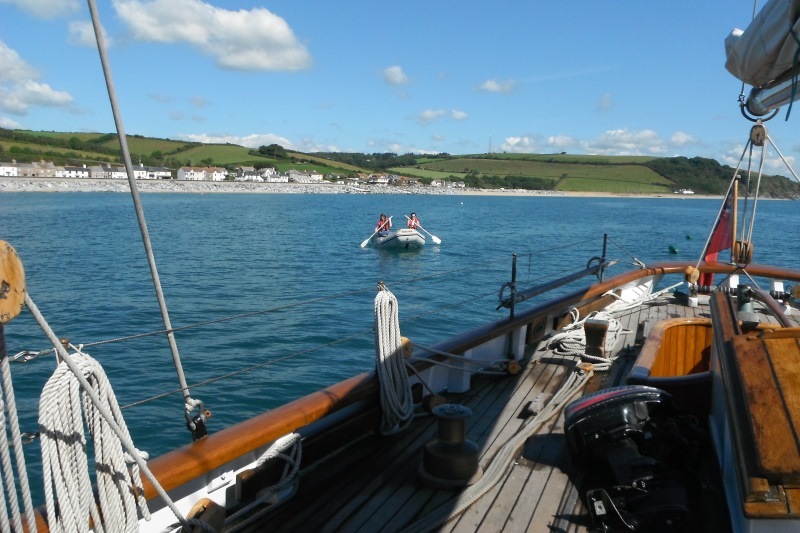 We are a recognised Royal Yachting Association Training Centre and run RYA sail training courses on our traditionally rigged sailing boats from late March through to the end of October. You will get involved in all aspects of life onboard, from helming and navigation, to getting the sails up and rowing ashore. 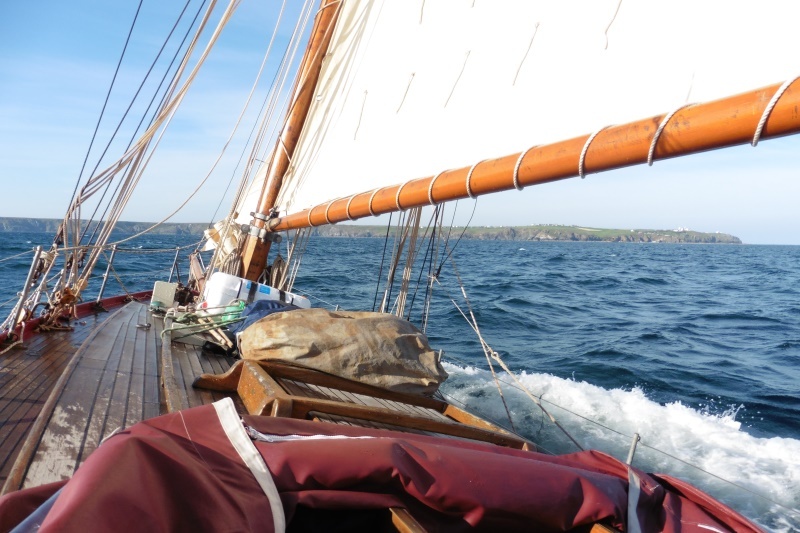 Beginners practical courses are delivered onboard our Sail Training vessels Moosk, Pegasus and Tectona. During the sailing season we run a number of RYA Competent Crew, Day Skipper Practical, and Yachtmaster Preparation & Exam courses for adults onboard Moosk. Course dates can be found on our availability page. RYA Start Yachting Basic knowledge and sailing skills; ropework, underway, rules of the road, man overboard recovery, clothing and equipment, emergency equipment and precautions, meteorology. RYA Competent Crew Knowledge of sea terms and parts of a boat, her rigging and sails, sail handling, ropework, fire precautions and fighting, personal safety equipment, man overboard, emergency equipment, meteorology, seasickness, helmsmanship, general duties, manners and customs, rules of the road, dinghies. 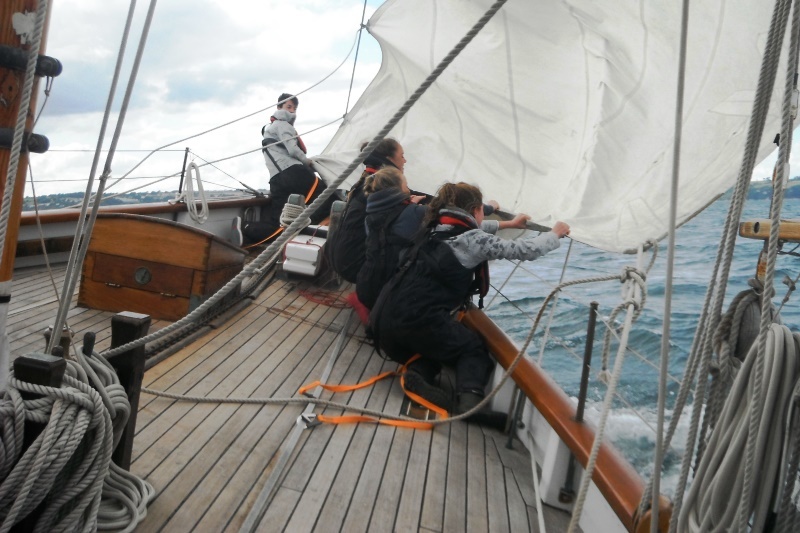 RYA Watch Leader You will learn about watchkeeping, seamanship and navigation up to the standards required for taking charge of a watch on deck, at sea or in a harbour. RYA Day Skipper Practical Preparation for sea, deck work, navigation, pilotage, meteorology, rules of the road, maintenance and repair work, engines, victualling, emergency situations, yacht handling under power, yacht handling under sail, passage making, night cruising. RYA Yachtmaster Preparation Course and Exam Full details of the Yachtmaster Coastal and Yachtmaster Offshore exam syllabus and requirements can be found in the RYA Yachtmaster Scheme and Logbook. Note: The course price does not include Exam fee* – exam fees are payable to the examiner directly when he/she arrives (currently £189 for Yachtmaster Coastal and £220 for Yachtmaster Offshore). *There is no need to pay the exam fee until the end of the preparation course, and only if you feel that you are ready to be examined by an external examiner. The fee goes direct to the RYA with your exam application, so you will need to bring your cheque book or credit card. For more information please call 01752 823007, email info@theislandtrust.org.uk, or get in touch using the form on our Contact page. We can also assist you with other RYA sail training courses, such as Advanced RYA Theory, RYA Basic Navigation, Coastal (YM) Theory, RYA Radio License etc. All courses and voyages are operated by The Island Trust’s trading subsidiary Island (Cutter) Ltd.